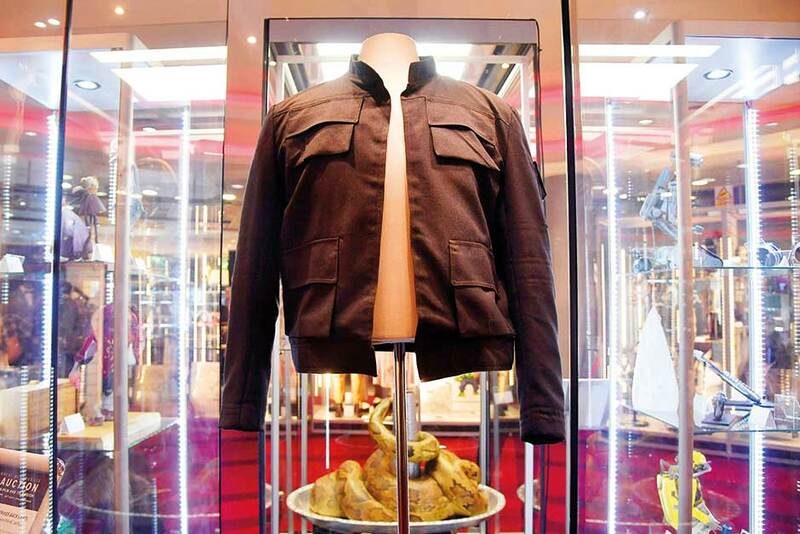 A jacket worn by Harrison Ford as Han Solo in the Star Wars film The Empire Strikes Back failed to sell at a London auction of movie memorabilia on Thursday, the sale’s organisers said. The item had a pre-sale estimate price of between £500,000 and £1 million (Dh2.4 million and Dh4.8 million). But the bidding climbed to £450,000 before stalling. “Han Solo’s jacket... didn’t meet reserve but we’ve already had a number of post auction enquiries,” said the sale’s organiser, Prop Store, in a statement. Collectors had a chance to get their hands on film props and costumes from other films such as Indiana Jones, Forrest Gump and Back to the Future II. Other Star Wars items include Anakin Skywalker’s lightsaber from the Revenge of the Sith movie, which sold for £110,000. Star Wars items are among the most sought-after pop culture collectibles. A gun used by Han Solo in The Return of the Jedi sold for $550,000 in June and an R2-D2 droid used in several films sold for $2.7 million. The most expensive item at the auction was a fedora hat Ford wore as Indiana Jones in Raiders of the Lost Ark, which sold for £320,000. A hoverboard used by Michael J. Fox in Back to the Future Part II sold for £30,000.